Our company GOLDIVANTI LP is since 2009. in business of gold and diamonds. We have financed the creation of the program Start Your Own Gold Mine so that businessmen may quickly be introduced in the business of gold mining in Tanzania. With over 240 mining sites available and many inspections, we know the locations, and we can help the businessman establish a local company, obtain all necessary resources, provide U.S. patented technology to recover even the smallest gold. The business startup program Start Your Own Gold Mine has already helped many foreign and local investors to understand more about the gold recovery, safety on mining sites, mining site planning and management, and all in the small scale level of activity. The fees for the program are US $22,000 when businessman is to obtain first 3 kilograms, while our side receives 2 kilograms of gold as award and full remuneration on the end of the program. Businessman may continue doing the business afterthat. The equipment we provide from our side is to process 80 tonnes of soft ores or tailings, crushed ores while hard rock ores have to be crushed with third parties. We may borrow the crushing machinery under certain conditions, howeve,r the equipment would yet belong to us. In case where businessman wishes to obtain full service to open up a small scale gold mine, with the full machinery and equipment to crush 2 tonnes of hard rocks per hour and about 80 tonnes of soft ores per working day of 10 hours, we have a service fee of US $66,000. 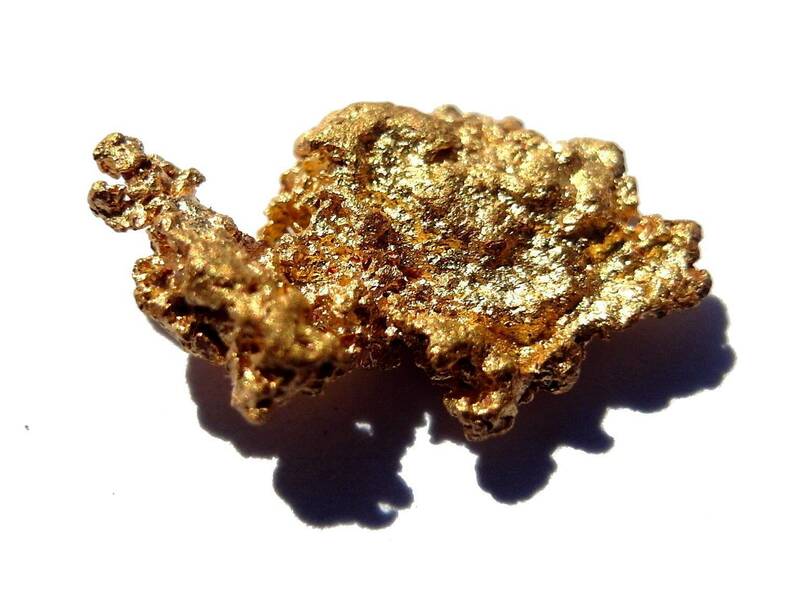 It relates to the full business startup in the level of small scale mining and may yield with more or less one kilogram of gold per month. Startups are focused on Tanzania and Uganda currently. For each of clients who are engaging in the Start Your Own Gold Mine program, either with the US $22,000 (plus 2 kilograms) or US $66,000 fee, we are providing special service to help the client to use the license for trading of gold and other minerals, when necessary diamonds or gemstones. Licenses for trading of gold may be issued only to Tanzanian citizenships. We are working together with our staff members who are in posession of such a license to trade with gold and minerals in Tanzania. Provision of the agreement where the owner receives 100% equity in gold trading transactions in Tanzania, and where one may use the license as issued to our Tanzanian staff members. Assistance in obtaining the work permit, and residency in Tanzania. Establishment and registration of a Tanzanian company. Provision of rental houses, accommodation, and travel means. Strategic planning and database resources so that gold may be purchased quicker and easier, directly from local miners. Visits to multiple mining areas in Tanzania where the owner may find the sources of gold. Meeting with the dealers in Tanzania who make sure that gold may be sold for almost the spot prices such as 97% to 105% of the market price. Provision of scales, refining equipment, melting ovens, specific gravity measurements, acids and other gold testing and assaying tools. The full business startup fee for the Establishment of Gold Trading in Tanzania is US $12,000 payable in advance or in two parts by US $6,000 two times. First is for the company establishment and purchase of equipment and the second part upon arrival to Tanzania and upon the meeting face to face. It may require even 30 days for the administration to be finished before the gold transactions may take place. The gold market prices in Tanzania when gold is obtained from dealers, and by dealers we mean in any city of Tanzania, are close to the gold market prices, where the maximum discount is 1%. Gold is demanded and to obtain it even with 1% discount is very difficult. The best dealers in Tanzania are not paying discounts, they are paying premiums, on top of the gold market price. Now, how is then possible to make the gold trading in Tanzania? What gold dealers are afraid of are the mining sites in bushes, and those are the places where we go to purchase the gold. The mining price in bushes is around 80% or 20% discount off the market price. To purchase any considerable quantity from mining sites, one need to engage in traveling, relations with local miners, one need to establish the office on local mining sites, and need to provide better services to miners, so that more gold may be purchased. We advise our clients on how to buy gold in this manner. Here is the calculation of the estimated income of gold trade in Tanzania. While it is almost impossible to buy 1000 grams from one single miner, this calculation is showing the estimated income, when gold is purchased from multiple miners. Broker offers gold price of 71562.88 Tsh. per gram. with the purity of 95.00%, with the gold price per gram being 71562.88 Tsh. Sales price per gram: 82431.50 Tsh x 921.50 grams = 79958551.30 Tsh. 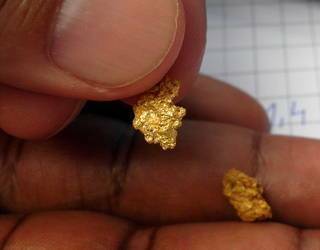 Gold in any quantities like 500 grams and above is not available in Tanzania with discounts more than 1% off the market prices. That is because the Tanzanian gold trading market is very developed, there are many dealers and many brokers. Gold is sold for cash inside of Tanzania much easily, than if it would be when exporting to other countries. when you receive the email or you see the offer on any website, that claims to have substantial, multiple kilograms of gold, discounted, and ready to be sold to foreigners. When it would be real gold, it would be easily sold locally to the local dealer. when the offer claims that gold "arrived from Congo", well believe me, the import duty of 25% on gold in Tanzania would be too much of a price to be paid. And nobody is preventing Congolese gold owners to fly directly to some of the good refineries such as http://www.ipmr.com or http://www.emiratesgold.ae in United Arab Emirates. Simply said, gold if in quantities, can easily be sold to refineries in Emirates. And if the gold would be smuggled, that is illegal, and you would be required to explain where and how you got it. However, nobody until today ever bought gold in quantities with discount from Tanzania, unless there was some substantial investment in one of the mining companies. when the gold owner is claiming that you need to pay only the taxes and duties and promising you to send gold to your refinery account without payment in advance, this is a big warning indication and sign of fraud. The only duty to be paid on export is the royalties, and nobody will give you gold without payment. As simple as that. So called "C.I.F." payments are reserved for relations between gold owners and reputable refineries, and gold is never to be sent without payment to unknown people or unknown companies. when the offer claims to have "nuggets" and you are shown multiple same-looking button-like yellow and shiny "nuggets" on pictures, well, beware, as there are not even 2 nuggets that are the same. You can see here our true and natural nuggets and how they look like, and compare it with the fake "gold nuggets" that you may find in such nonsense offers.